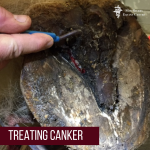 Canker is a chronic infection of the frog. The infection attacks the frog and destroys soft tissue. As the disease progresses, large cauliflower-type growths form on the back of the heel bulbs. 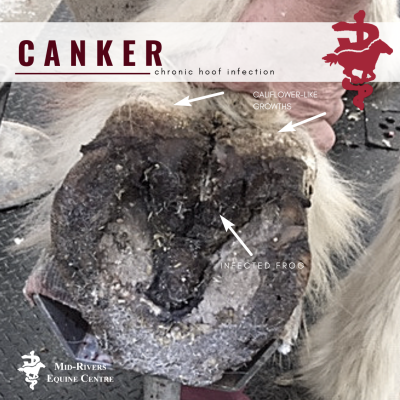 Infection can spread to the sole and the hoof wall causing permanent damage. At the onset of canker you may be fooled into thinking it is thrush. Both infections have a foul smell and attack the frog. So, how do you tell the difference? 1. 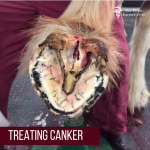 It will produce a white discharge, while thrush produces a black discharge. 2. It is painful, while thrush generally is not. 3. 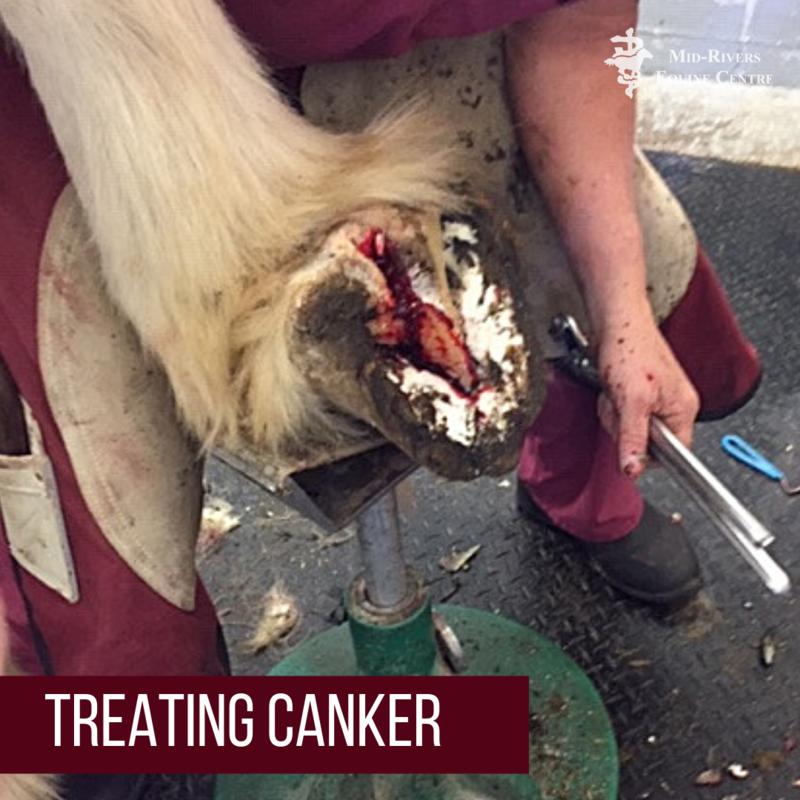 The horse may become sensitive to shoeing. 4. The soles may easily bleed during trimming or picking. 5. White cauliflower-like growths will appear on the bulb of the foot. 6. The horse will no longer bear weight on the back of the foot, or the foot altogether. The good news is the infection is not very common. 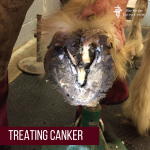 The bad news is it is difficult to treat, and infection can become a chronic problem. 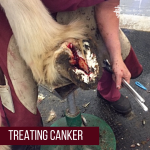 Treatment includes debridement of dead and diseased tissue and antibiotics.